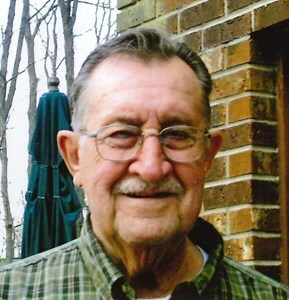 Newcomer Family Obituaries - Richard C. Merk 1929 - 2019 - Newcomer Cremations, Funerals & Receptions. Merk, Richard C. age 89, of Cincinnati, Ohio passed away on Friday, January 25, 2019. He was born in Cincinnati, Ohio on May 17, 1929 to Albert and Idella Merk (nee Smith). He was preceded in death by his parents, Idella and Albert Merk; wife, Mary Ann Merk; daughters, Margaret Oess, Linda Speckert; grandson, Nathan Runyan; siblings, Alvin Merk, Marion Wernke and Gerald Merk. Richard is survived by his beloved daughters, Kathleen (Gary ) Yoko, Barb (Bob) Otto, Julia Mavromatis; sons-in-law, Joe Oess and Walter Speckert; grandchildren, Chris (Laura) Dougoud, Lisa (Ricky) Henline, Katie Oess, Steve (Meg) Oess, Carrie (Carlos) Marques, Rebecca Criss, Mary (Chris) Noel, Amanda (John) Russell, Nick (Jody) Yoko, Allie (Cody) Hahn, Zach (Emily) Yoko, Ben Otto, Brett Otto, Meagan Runyan, Stacy Runyan; siblings, James (Rita) Merk, Charles (Lin) Merk; many great-grandchildren and a host of other family members and friends. In loving memory of Richard, contributions may be made to JDRF. Mass of Christian Burial will be 10:30 am Friday, February 1, 2019 with a visitation from 9:30 am - 10:30 am at St. Jude Bridgetown, 5924 Bridgetown Road, Cincinnati, Ohio 45248 with burial to follow at St. Joseph Cemetery - Old 3819 W. Eighth St. Cincinnati, Ohio 45205. Add your memories to the guest book of Richard Merk. Jan 26, 1937 Flood Peeked at 80 ft I was born and became Flood Bud and you never forgot. God bless you for that, Seven years after We had a good snow, a snow ball fight in your yard on Hillside Ave. I was pounded, You asked " Are you alright " . Family reunions were a wonderment to me, Boy could you ever throw a hard ball. Fishing trips to Canada with Brother Jim, You and Bob, Next time You and Chris, Me and my youngest son Dan, Lots of good memories both trips. Birthday parties for you, and a beer or two. My 80th B day and 60th W Anniversary, thank you for being there for me. To all the Merk family - my condolences. Lots of fun memories of growing up together. I especially remember how good your dad's bbq chicken smelled on the grill. You may not remember, but we never did that (we were always dogs and burgers) so your dad's cooking left an indelible memory. Also recall our parents and all us kids (more kids on your side than ours!) enjoying watermelon in the front yard on a hot summer's evening.